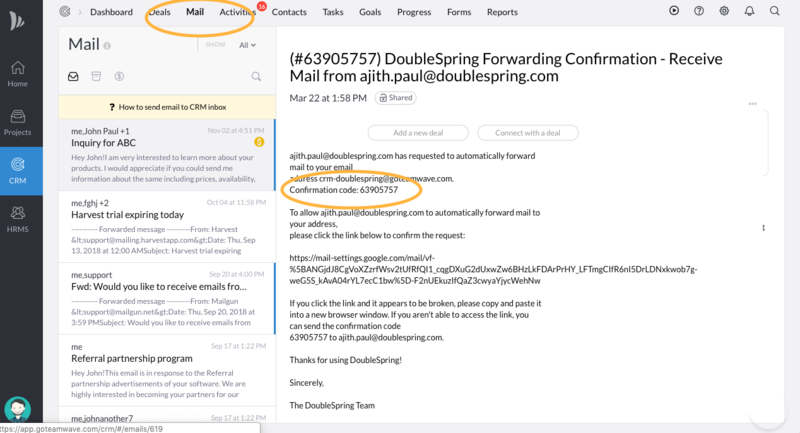 If you are currently using G Suite / Gmail and need to implement the Sales Automation feature in TeamWave CRM, then you will need to setup auto-forwarding for Gmail. This will send a copy of all your emails to TeamWave mailbox. Navigate to CRM settings and select Sales automation. Navigate to your Gmail account. Paste the CRM Smart Email you copied before. Now, a confirmation code will be sent to your TeamWave mailbox. It will be present in the CRM inbox of the default owner selected in the rule. Then in the Forwarding section, enable Forward a copy of incoming mail to your Smart Email. Now, you can receive all your emails to your TeamWave mailbox directly. 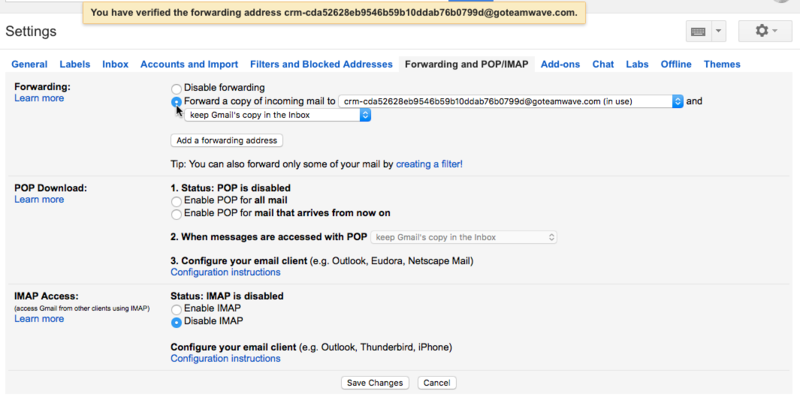 - You can use filter option in Gmail settings to forward specific emails to TeamWave. - If you do not receive a confirmation code from Gmail it is usually because you have not created a rule in sales automation yet.